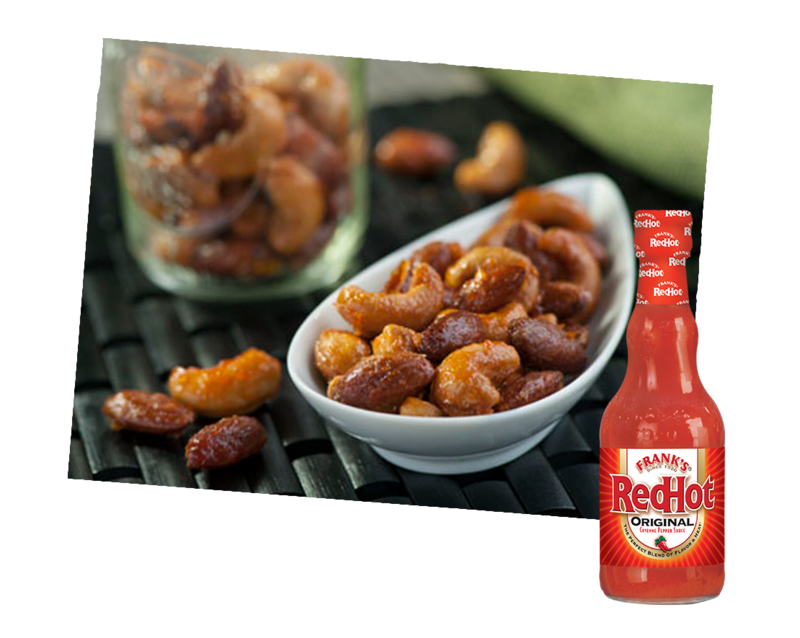 Combine the Frank's RedHot Original Cayenne Pepper Sauce and honey. Add nuts and toss until evenly coated. Arrange on lightly greased baking sheet. Sprinkle with salt. Bake on 150°C for 25-30 minutes, stirring twice, until deep golden and glaze is very thick and sticky. Cool for 5 minutes on baking sheet. Transfer to a bowl, stirring occasionally until completely cool - nuts will be sticky, but will harden as they cool.